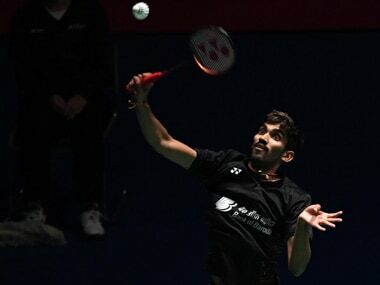 Bengaluru: Defending champions Delhi Acers defeated Chennai Smashers 5-2 to finally register their first win of the Premier Badminton League (PBL) season 2 at the Koramangala Indoor Stadium, in Bengaluru on Sunday. Acers, who won three matches on the trot to go 3-0 up in the tie, needed their men's doubles pair of Ivan Sozonov and Vladimir Ivanov to pick up a win over the pair of Chris Adcock and Mads Pieler Kolding to put the tie out of Chennai's reach. Coming in with huge expectations and playing in a trump match, the heavyweight Delhi pair did not disappoint and displayed a dominant performance to win the match 11-6 11-6 to take an unassailable 5-0 lead over Smashers. In the last match of the tie, it was PV Sindhu, playing in the trump match for Smashers was up against Tanvi Lad of Acers. With the tie already sealed in favour of the Acers, it was for Sindhu to salvage two crucial points and maintain their top position on the points table. And as expected, it was Sindhu who eventually won the match 11-6 11-7 to go to third position on the points table with 10 points. Earlier, mixed doubles pair of Jwala Gutta and Vladimir Ivanov beat the pair of Adcock and Sindhu of Chennai Smashers to hand defending champions Delhi Acers grab an early 2-0 lead in the tie. Smashers, who were one down in the tie, looked like they would bounce back after their experiented pair produced a dominating performance to take the first game 11-7. With a game up it looked like Chennai's gamble would pay off but Jwala and Ivanov got their acts together to win the second game 11-4. In the decider, Sindhu and Adcock tried their best to get past their much experienced opponents, however Jwala and Ivanov did not let go off the momentum and won the game 11-9 to win the second match of the tie. In the third match of the tie, Son Wan Ho did not lose much sweat to beat P Kashyap of Smashers 12-10 11-4 to give Acers 3-0 lead. In the first match of the tie, Jan O Jorgensen put Acers back on the winning path after he beat Tommy Sugiarto of Smashers. Delhi, who are currently lying at the bottom of the table and are virtually out of contention for the knock-outs, finally got their winning mojo back and salvage some pride. Jorgensen came back from a game down to beat Sugiarto 10-12 11-4 11-6 and take an early 1-0 lead in the tie. Jorgensen started the match on the attacking note and was looking favourite to win the first game as he raced to a 9-5 lead. On the cusp of a loss, Sugiarto however launched a strong fight back to take the game 12-10. Jorgensen made a strong comeback to win the second game 4-11. With the match tied 1-1, Jorgensen was at his brutal best to end the game 11-6 to win the match and give Acers a much needed win. Awadhe Warriors are now leading the points table with 14 points followed by Mumbai Rockets at 12 points and Chennai Smashers at 10 points.